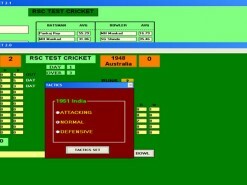 RSC Test Cricket as its name suggests simulates Test Cricket. 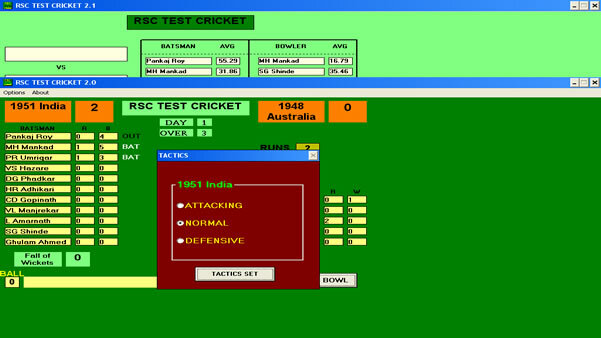 When you first start RSC Test Cricket you can select the sides to play. There are 30 squads to choose from. 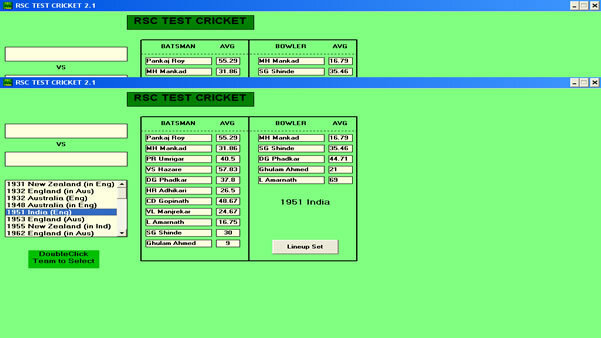 These squads are test teams for a particular series e.g. 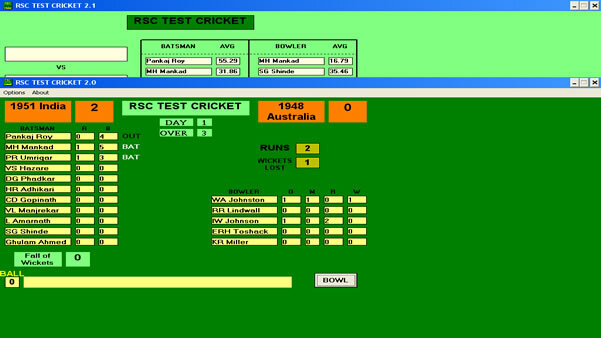 England 1985 (vs Aus). 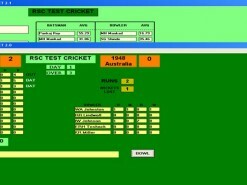 The ratings applied to the players are the averages for the series so you can replay previous series or set up what if scenarios like West Indies 1984 vs Australia 1948. 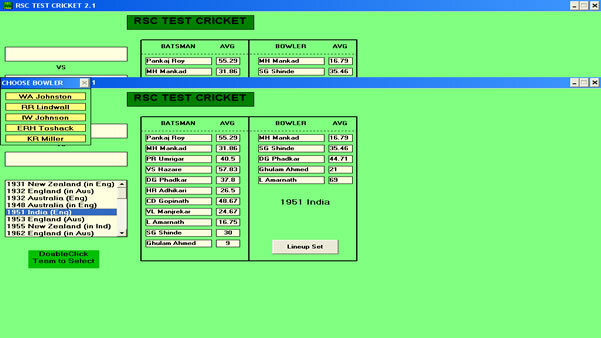 When selecting teams you can alter the batting order, once a team is selected you can not alter the batting line up. 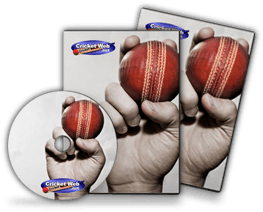 How would you rate RSC Test Cricket?